As Reiki practitioners and professionals, we are aware of the importance of properly preparing for a Reiki session. Over the years, I have come to appreciate the true significance of an intentional and thoughtful preparation, primarily because of its effect on the entire session going forward. By taking the the time to thoroughly prepare ourselves and our healing space, a vibratory message of caring is set in motion, resulting in an elevated vibration of healing intention. 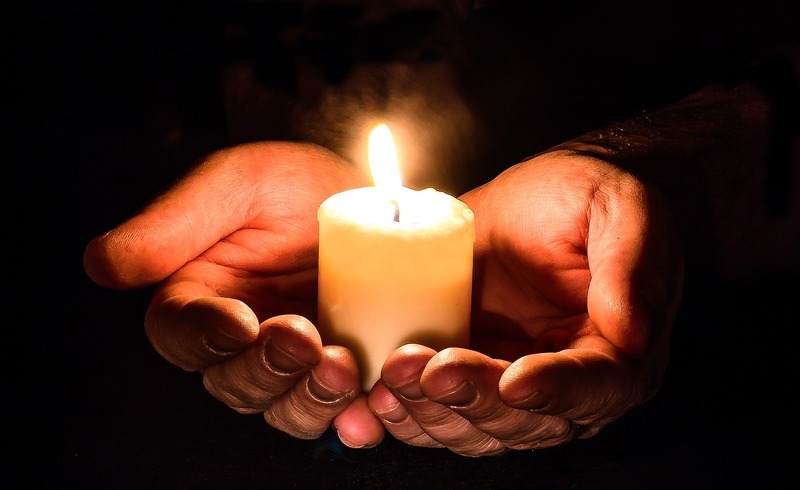 During my work with Reiki for almost a decade and thousands of sessions, Reiki has lovingly guided me to develop a thorough and effective preparation procedure, and I am grateful for the opportunity to share it in this article. It is my intention that the information provided here will serve as an inspiration for your own Reiki practice, in whatever manner is appropriate and right for you. From an energetic standpoint, the preparations begin at the time the appointment is made, which sends the message and the intention to the Universe. At that time, I begin sending Reiki to the session in advance by invoking the Holy Fire symbol and HSZSN (Time-Distance Symbol). Please note that the practitioner may utilize any symbols or method that resonates, and to which (s)he is guided. The client also receives a confirmation email, which includes the appointment date and time along with any pertinent details. It also offers preparation recommendations for the Reiki session, which, in my experience, is especially helpful for new clients, as well as those who are new to Reiki itself. In addition, an appointment reminder is sent a day or two before the scheduled time. On the day of the appointment I prepare the healing area, paying particular attention to the healing space where the treatment will take place. The room is always cleansed physically as well as energetically. At the risk of stating the obvious, a physically clean room is necessary – it is not only inviting and pleasant, but the placement of fresh linens on the Reiki table, along with the removal of dust, trash, and debris, helps to clear incompatible or unhealthy energies. Since this area receives daily maintenance, the physical cleaning is a relatively quick process. I also have fresh Reiki-charged gem water available for the client and for myself. Channeling Reiki creates a powerful thirst! After ensuring that the space is physically clean, the energy clearing begins. The energetic cleansing is just as, if not more, important than the physical cleansing when working with multiple clients throughout the day. It is essential that energetic residue be cleared between sessions so as not to adversely affect clients or the Reiki Professional. Fortunately, there are many clearing methods available to the Reiki practitioner. My preferred way is to draw the Holy Fire symbol in the air over the walls, ceiling, and floor of the room, with the intent that the area be cleared of all incompatible and/or unhealthy energies. Of course, the Reiki Professional may use whatever symbol(s) resonates, and the Level 1 practitioner can invoke a simple intention to clear and cleanse the space with Reiki. When time allows, I will also play a crystal singing bowl to neutralize any residue, and/or smudge the area with white sage or Palo Santo. NOTE: Before smudging, be sure your client does not have any allergies or sensitivities to the smoke or to strong scents. It is advisable to mention this in the initial confirmation email. When the room’s energy has been cleansed and refreshed, it is time to clear my personal energy and auric field. My preferred method is to draw the Holy Fire symbol over each palm, then hover a hand over each primary chakra, and intend that Holy Fire Reiki cleanse, charge, and protect my energies in preparation for the healing session. Of course, the Reiki practitioner may utilize any method that resonates, such as the Kenyoku technique, which is very effective for clearing and cleansing one’s energy. Please keep in mind that the best method is the one that works best with you as the Reiki Professional! Following this, the next step is the spiritual invocation on the client’s behalf. My preferred practice is to stand quietly in the healing space, because I so clearly feel the presence of Reiki and Spirit there, and with my hands in Gassho, state my intention for the client’s deep healing and blessing. I then ask and intend that my ego, personality, expectations, and challenges step aside so that I may be a clear and pure channel for Reiki. Next, I invite and welcome the assistance of my spiritual team and that of the client, including Guides, Angels, Archangels, Ascended Masters, Deities, and so forth. A sincere expression of gratitude is offered for their guidance, support, comfort, and love. I also affirm that the healing space is a place of peace, love, light, and joy, and welcome only those who dwell completely in the Light. With my hands still in Gassho, I then raise them to the third eye, and intend that Reiki guide my hands to those areas most in need, and that any information received on behalf of the client be clear, relevant, and beneficial. Finally, I ground myself prior to the client’s arrival. Proper grounding is very important for those involved in energy healing, and helps the Reiki Professional to feel invigorated and refreshed after the session. After all, as a conduit for the spiritually guided healing energy of Reiki, the practitioner, as well as the client, receives its benefits. However, if the practitioner feels drained, tired, or “spacey”, the reason is likely insufficient grounding. Take 3 deep cleansing breaths from your abdomen. Visualize (or imagine) tree roots growing from your root chakra, down through the bottoms of your feet and continuing to the Earth’s center. Visualize (or imagine) the roots spreading in all directions, attaching themselves to the Earth’s center. Feel that you are grounded firmly to the loving energy of Mother Earth. Express gratitude for her love and support. The Reiki Professional is now ready for the session, confident in knowing that a thorough and intentional preparation has been conducted on the client’s behalf! Although these preparations may initially seem to be lengthy and cumbersome, the entire process in the healing space can be completed in less than 10 minutes with very little difficulty. To that end, several years ago, I developed a preparation checklist for my Reiki sessions which has been very helpful and is still implemented before every session. This simple checklist keeps me focused during preparations, and ensures thoroughness. Additionally, I maintain detailed records of Reiki sessions, including an Intake Form for new clients and a Reiki Treatment Documentation Form for every session. These files are confidential, and maintained in a secure location. This attention to preparations and record-keeping help to elevate the Reiki Professional practice by creating an atmosphere of unconditional caring, acceptance, and professionalism, while raising the vibration of the healing session from its inception. Our clients, and Reiki, deserve nothing less.